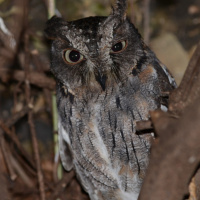 The Torotoroka Scops Owl is a small owl with relatively short ear-tufts. 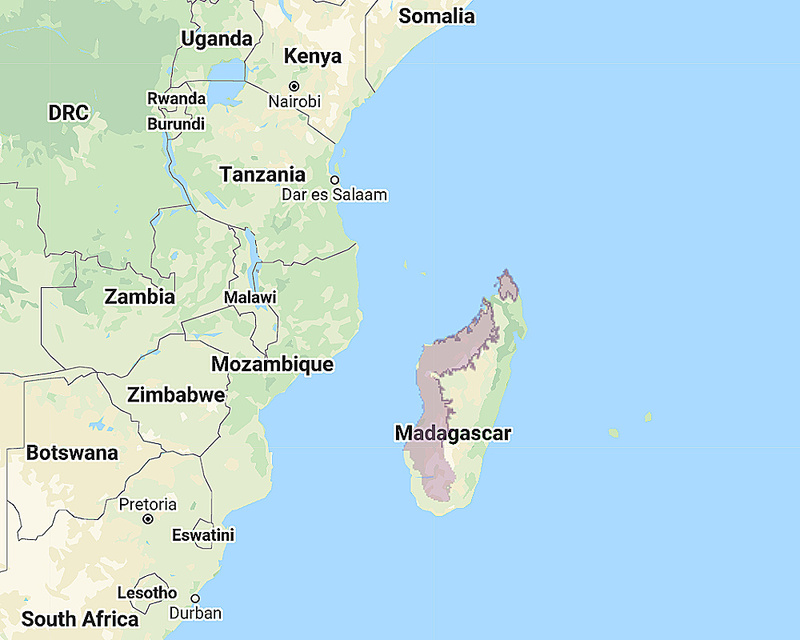 Distribution: Endemic to western and southwestern Madagascar. Original Description: Grandidier, Alfred. 1867. Revue et Magasin de Zoologie Pure et appliquée, ser. 2, 19, p. 85-86. Rasmussen, P.C., Schulenberg, T.S., Hawkins, F., and Vaninaboko, R.. 2000. 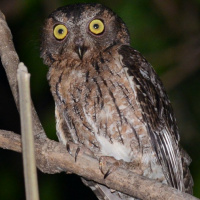 "Geographic variation in the Malagasy Scops-Owl (Otus rutilus auct. ): the existence of an unrecognized species on Madagascar and the taxonomy of other Indian Ocean taxa". 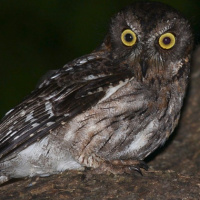 Bulletin of the British Ornithologists' Club, 120:75-102..
See also: Other owls from Africa, Genus: Otus. Page by Deane Lewis. Last updated 2015-09-21.